A database containing 1.5 million citations and abstracts to scholarly articles and other research from 74 countries relating to economics and economics history dating back to 1886. Some items in EconLit only contain the citation. For best results, click on "Choose Database" and select both EconLit and Business Source Complete in order to search them together. Business Source Complete contains articles from Scholarly, popular, and trade journals in addition to company reports (public & private), industry reports, and country reports. Includes numerous economic journals. Use together with EconLit. JSTOR has full-text full-text articles from scholarly journals from approx 2005 and earlier. The Web of Sciences includes three citation indexes: Science Citation Index, Social Sciences Citation Index and the Arts and Humanities Citation Index. Search Social Science Citation Index for economics-related citations. National Bureau of Economic Research (NBER) researchers publish their initial findings at the NBER as working papers. This short video (less than 5 min.) 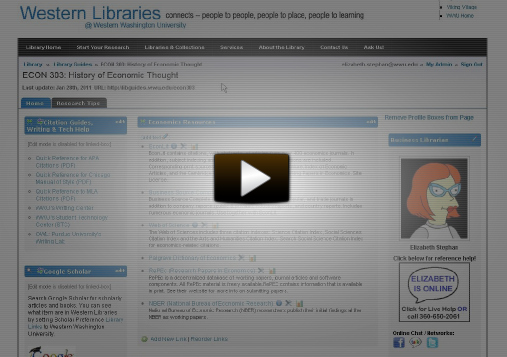 demonstrates how to search EconLit and Business Source Complete at the same time. Video will open in a separate window.